Michael Foguth of the Foguth Financial Group in Brighton MI was featured in a recent article on LendingTree.com. Click here to read the article on LendingTree.com or you can read the article below. If you need access to a lump sum of cash, a personal loan could be the perfect solution. People apply for personal loans for various reasons, from paying for a wedding to making a home improvement. The majority (61%) use a personal loan to refinance or consolidate debt, according to our research. No matter your reason for a personal loan, when considering taking out a lump-sum installment debt, it’s good practice to apply the same due diligence that you’d use for any financial decision. That is, thinking it through and finding the best deal before you sign on the dotted line. Filling out a loan application may only take you a few minutes, but there are some things you should do before submitting one. If you aren’t sure where you stand credit-wise, you want to figure that out before you apply for a loan. Otherwise, you may be shocked if you end up being rejected for a loan or are offered poor terms. You may request your credit report via AnnualCreditReport.com. You’re entitled to a free report each year from each of the three major credit bureaus, Transunion, Equifax, and Experian. Next, find out your credit score, which is calculated based on the information contained in your credit reports. You can order your score through one of the credit bureaus for a small fee, or you can try accessing it for free by signing up for certain financial apps or services. “Everybody should have an app on their phone or some sort of tracking to see what their credit score is at all times,” said Michael Foguth, founder of Foguth Financial Group in Brighton, Mich. He adds that many credit cards offer a free credit score as a cardholder perk. The most widely used consumer credit score is FICO, which has a range between 300-850. Naturally, the higher your credit score, the better personal loan options you’ll have. For most personal loans, a score of at least 640 can put you in a better position for more favorable interest rates. “A personal loan is fine if it’s used to better your situation, not to better your lifestyle,” said Foguth. In other words, you don’t want to borrow more than you actually need, and you shouldn’t be frivolous when taking on debt. Consider your other debt and how much income you have, adds Foguth. You should ensure you’ll be able to pay back any new debt. If you’re taking out a personal loan to consolidate debt, you’ll want to determine which debts you’re combining. Make note of their balances, interest rates and terms. That information will help in how much you need to borrow to consolidate and the rate and term you’re aiming for. 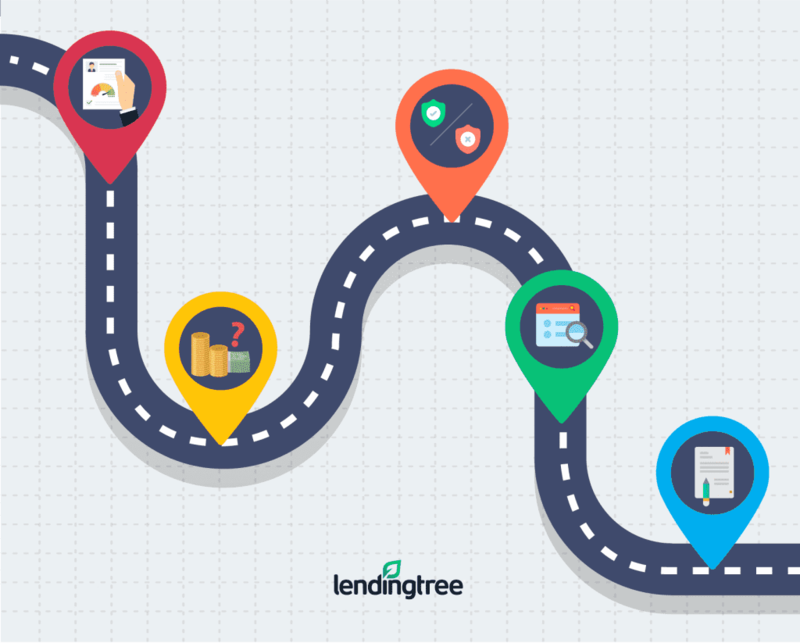 No matter how you’ll use your personal loan, take your repayment timeline into account as well. Ask yourself how long you’re comfortable being in debt. Take your future goals into account. If you plan to purchase a house in a few years, for example, you may want to have your personal loan paid in full before then. Once you determine how much you want to borrow and for how long, the next step is to figure out whether you want a secured or unsecured loan. “Traditionally, a secured loan will have a lower interest rate because you’re putting up collateral, and because an unsecured loan is not backed by anything, it will be a higher interest rate,” said Foguth. Secured personal loan: These loans have less risk to the lender because you are backing it with collateral, such as your car. Credit score qualifications may be less stringent compared with an unsecured personal loan. However, if you fall behind on payments, you risk losing the asset. Unsecured personal loan: These personal loans usually have shorter terms and less paperwork. Since you don’t have to put down collateral, your credit score and history might play a bigger role in qualifying. While a secured personal loan may offer better rates, it does come with greater risk. A financial setback could lead you to lose whatever collateral you put down. An unsecured personal loan, on the other hand, may come with higher rates and be harder to qualify. Once you’ve chosen a few lenders you like, you can apply for a preapproval, which provides you with an estimate of the interest rate and loan term you’d qualify for based on the data you supply and using a “soft pull” on your credit. A soft credit check won’t affect your credit score. You basically want to look at your APR, the monthly payback amount (to make sure it fits your budget) and the loan term, says Foguth. Then, figure out what each loan would actually cost you so you can make an apples-to-apples comparison. Once you’re ready to move forward, you’ll likely need a few documents for the application. Typically, you’ll need to give the lender permission to run a hard credit inquiry, and then you’ll have to provide them with proof of income and employment (such as recent pay stubs), proof of debt (such as mortgage or auto loans) and asset information if it’s a secured loan. If approved, you’ll get the official loan offer, and it’s up to you if you want to try negotiating at that point. “If you know you’re a good borrower, you don’t have to accept their offer,” said Foguth. Let the lenders know that you’re shopping around, and ask if they can do better, he adds. If your credit history isn’t great, though, you probably won’t have as much leverage. Once you sign the loan agreement, you’ll receive your lump-sum payment, and can use the loan for its intended purpose. The only thing left for you to do is to make sure you follow through with your on-time payments until the loan is paid off.